The Whispering Palms villa was constructed 5 years ago nestling in a gated community and has all the latest modern requirements; comprises 4 bedrooms with ensuite and air-conditioning. To the front and rear are lawns, garden, plunge pool, BBQ area; to the front and side are a decked Veranda and sunbathing area. The Villa is welcoming and has a fully fitted kitchen with American fridge & ice maker. Living areas are complete with dining table to seat 8 and relaxed seating area on two sofas and an arm chair for 6 with 2 auxiliary seats. The house is complete with cable TV and hi-fi / ipod docking system and also has wi fi broadband. The telephone can be used free for local calls. Catering can be organised and the villa can be further seen on its own website. The villa is spacious and has a plunge pool to the side. There is plenty of storage in the villa. Whilst a car is not essential it will make your stay more pleasant as Holetown is approximately 1.5 miles away. What do I need to take with me? : Nothing Everything is included. Loo rolls, towels, washing machine, bedding - changed 1 per week along with towels. The gardeners will attend twice per week on Tuesday and Thursday and the pool man on Thursday too. We are an English Family who take a pride in our home abroad, but that is what it is a home in the sun. We have fun in Barbados and relax, or chillax!! Our villa is in a gated community of only 6 houses and is only 200 meters from the sea. Close by are good bars and great restaurants a plenty. Sophisticated ones and local ones you choose. 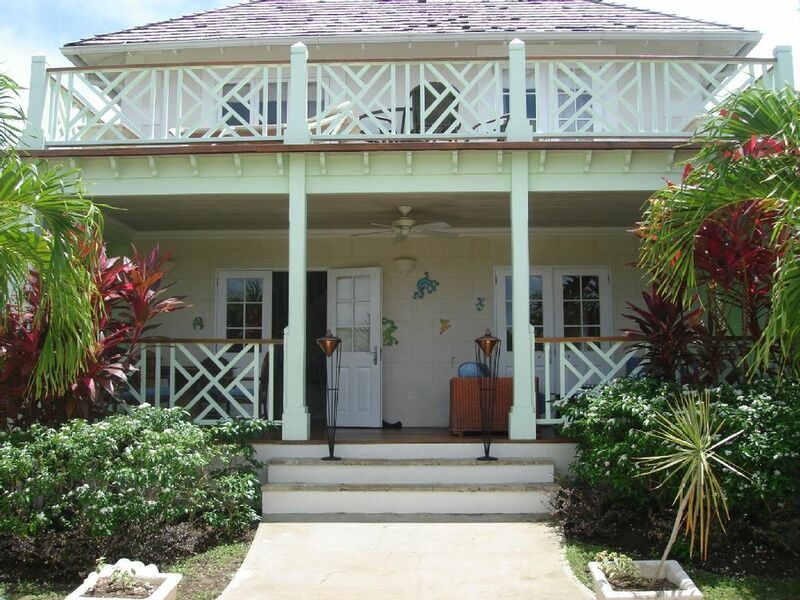 Very close to the golden beach at Alleynes Bay & the celebrated Lone Star Beach Bar & Restaurant, known as The Ivy of the Caribbean, less than 3-minutes walk from your front door; as well as Royal Westmorland. The villa is set in a secure gated complex along with 5 others.The local bus stop is very close by. We are opposite the Fairmont Royal Pavilion Hotel. West Coast situated and only 2miles from Speightstown in between Holetown and Gibbs Beach and within easy reach of Mullins Beach Bar, we are only 8 miles from Bridgetown and 10 miles from Gantley Adams airport. Off Highway 2 at the Sandy Lane exit, through Holetown for 1.5 miles heading North. Nothing on the west coast is too far away.The banking and shopping facilities of Holetown are only a steady 5-minutes drive away. The area of St James is known as the Monaco of the Caribbean with its prestigious properties and glamorous people. The area has an abundance of excellent local & international restaurants but you need to book!